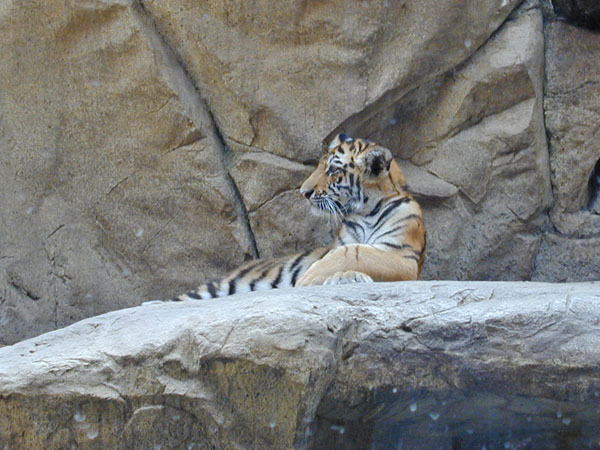 When I decided to visit Omaha, I knew that one place I would have to go is the zoo. 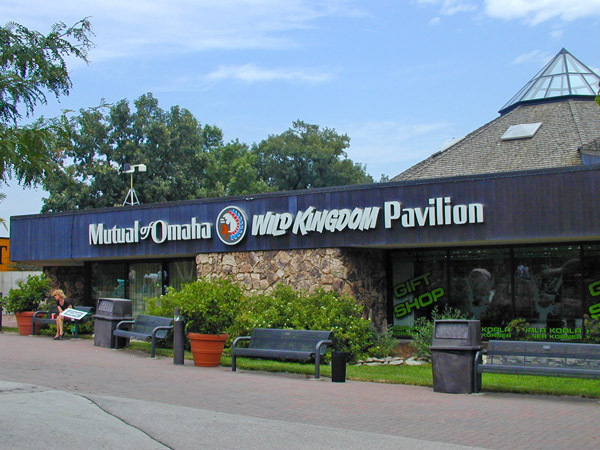 I grew up watching "Mutual of Omaha's Wild Kingdom," so this was a way of connecting with my past. They had some good exhibit areas and lots of animals. 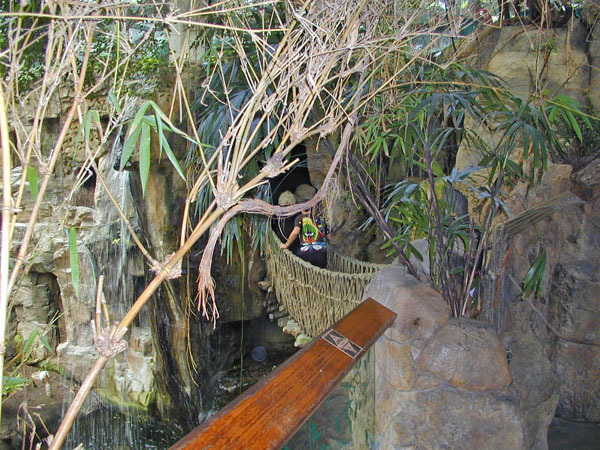 The rope bridge below was very popular. 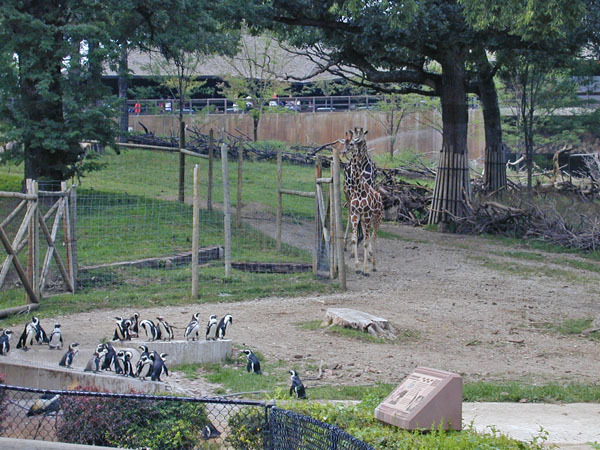 Below are a few of the animals at the zoo. 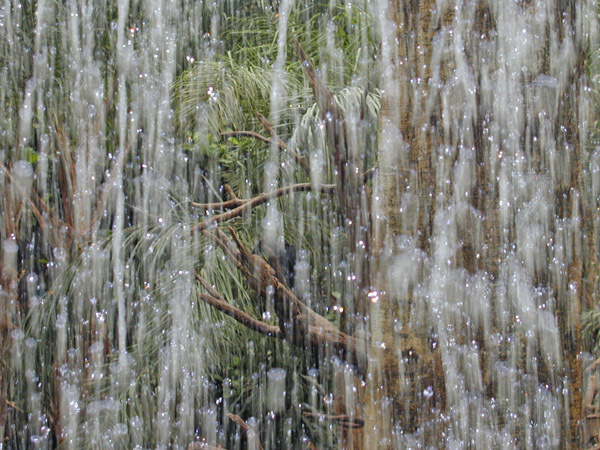 The waterfall created an interesting picture. This little fellow was born March 13, 200 (about 3 months before my visit). Seeing penguins and a giraffe together is not an everyday sight for me, so I thought the combination to be very interesting -- these penguins are the warm-weather species, so actually they do go together. Leaving Nebraska I drove to Clive, Iowa (a suburb of Des Moine) to see some friends.